Marketers banking on Twitter to target moms with back-to-school offers this year may be throwing away their advertising budgets, according to a new study from PunchTab. Twitter chatter isn't moving the sales needle for back-to-school, with just 1 percent of respondents consulting the social media platform on back-to-school purchases. Facebook seems to have more impact, with 22 percent of moms using it for information on school products. Respondents also indicated they'll do little online browsing or comparison shopping before heading straight to stores this year. While the bulk of back-to-school shopping will still be done in stores, moms are increasingly relying on mobile coupons. And this trend is leading major marketers to combine in-store promotions with mobile this year. • 75 percent said social media will play no role in their decisions to buy items. 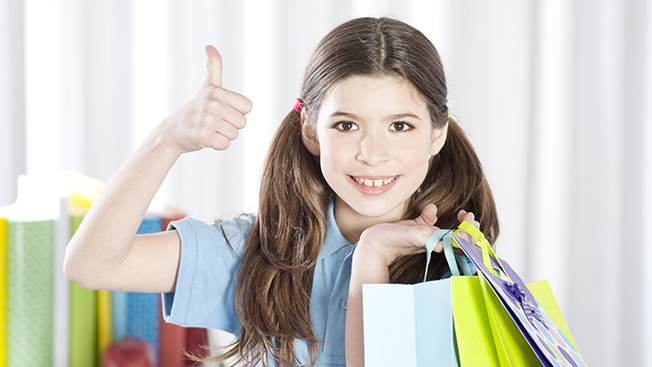 • 85 percent of respondents expect to do half or more of their back-to-school shopping in stores. • 77 percent plan to spend as much as or more than they did during 2013. •33 percent said they would do no school shopping online. PunchTab's findings come from a survey of 500 moms earlier this summer. "As more moms gravitate towards in-store purchases and turn to mobile devices for coupons while on the go, there’s a unique opportunity for retail and CPG organizations to reach them on mobile, and even turn them into repeat buyers," said Robyn Hannah, PunchTab's vice president for public relations and communications, in a statement. "The trick is to understand your consumers segments and provide the right offer, on the right channel, at the right time." At the same time, American Express forecasts that parents will spend an average of $1,151 this year on back-to-school shopping. But estimates from the National Retail Federation earlier this month on overall shopping are significantly smaller. The trade organization predicts the average family with children in grades K-12 will spend $669 this year, up 5 percent from last year for a total of $26.5 billion. College students and their parents will spend an average $916, up 10 percent for a total of $48.4 billion. A number of brands have already kicked their back-to-school campaigns into gear. For example, Target has linked print ads in youthful magazines with a mobile app for buying dorm room fixtures. And focusing on tweens and teens, Staples partnered with Teen Vogue to promote fashion-forward pens and stationery.